How to book a Kerala Treehouse holiday? Kerala treehouse is a unique and exclusive experience, for the kind of close encounters with nature and forests it provides. 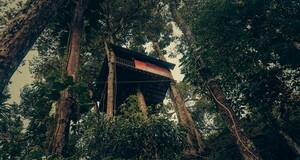 A tree house in kerala is among the best examples of responsible tourism in the world. 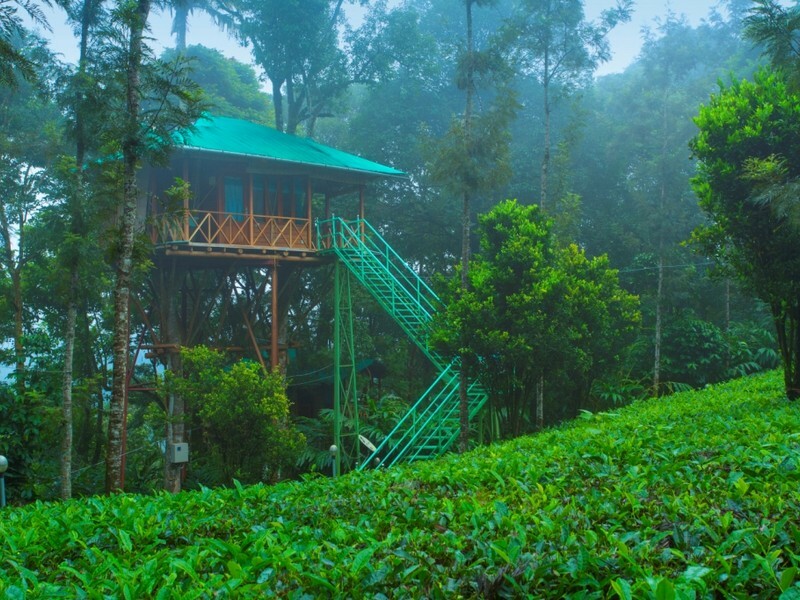 Tree houses in Kerala are wooden houses built on top the trees and Kerala Tree house Honeymoon Stay in Treehouse Resorts in Kerala are growing as the latest attraction and symbol of Kerala Tourism. Kerala Treehouse Resorts are popular in Munnar, Thekkady, Athirappilly Waterfalls and Wayanad. Each of these tree houses in Kerala normally in breathtaking surroundings inside forests and provides an offbeat tourism experience to visitors who want to keep away from the complications and stress of city life. Get ready for Kerala treehouse stay only if you are willing to keep a day without TV, computer systems and other modern luxuries. Best Treehouses in Kerala offers all the facilities a hotel room where two guests can stay and has a double bed with a connected bathroom and Western toilette, clean bath tub and hot and cold water and open balcony. Any of the experiences of Treehouse Tourism in Kerala is a relaxed encounter and the difference is that you remain in a breathtaking and pristine natural environment instead of a regular hotel or resort. Treehouses in Kerala are developed in an eco friendly way, without compromising the natural charm and rates for a stay in a treehouse in Kerala will vary from 4500 to 12000 Indian Rupees per night. In the local language of Kerala, Malayalam treehouses are known as as Erumadom and was originally used by hunters in forests to hide while being in forests. Most of the three houses in Kerala are built by tribals are substantially engaged with the development and servicing of the Treehouses. 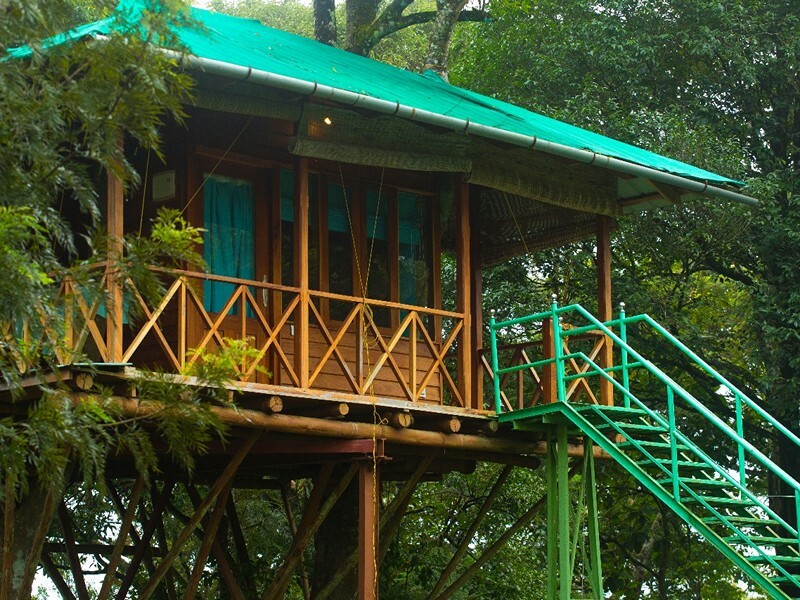 There is also a Luxury tree house in kerala with 24 hours AC inside a forest in Thekkady. 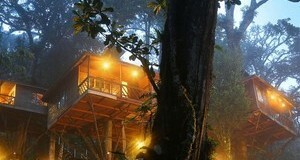 A stay in Kerala Treehouses is a memory that will be etched in your mind for many long years. It will be first encounter for many to remain outside the limits of tangible and fluorescent lights in a resort. It will be a relaxing encounter especially if you can plan for a Kerala Treehouse Honeymoon or holiday.
" Sarayna helped plan an unforgettable experience. Our trip exceeded expectations and we encountered no problems logistically at any point. Great hotel choices at all destinations in Kerala. Special gratitude to our driver Akash who also acted as a wonderful guide, adjusted tour requests and exceeded expectations at all points. Thanks once again. " Planning for a Kerala Tree house Experience?